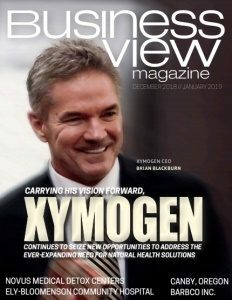 Business View Magazine interviews Dave Burns, CEO of Enlinx, as part of our focus on best practices in the logistics sector. One of the biggest areas of transition was the IT environment. The systems in use were sufficient but couldn’t sustain the growth initiatives Burns had in mind. 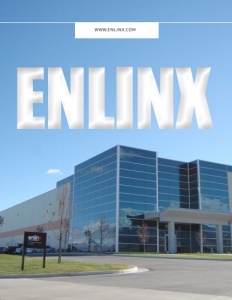 Today, Enlinx’s IT systems include wireless technology that provides immediate tracking of every item that enters the company’s 420,000-sq.-ft. warehouse. A Warehouse Management System manages and tracks all product fulfillment processes; an Order Management System provides real-time order processing, forecasts, and on-demand reports; Cartonization Software makes it possible to generate batches based on an order’s packaging requirements and then directs the packer to use a certain carton size; a Warehouse Control System orchestrates the flow of product through the warehouse and coordinates material handling points; and Shipping Automation Software provides multi-carrier shipping solutions for multiple origins, carriers, modes, and service types, which helps to lower costs and errors while increasing visibility. In addition, Enlinx’s warehouse equipment includes: an automated conveyor system which provides flexibility and unparalleled accuracy; an automated sortation system, designed to handle diverse products while maintaining flow accuracy; RF picking which allows for the capture of detailed product information by batch or serial number by quickly scanning barcode labels; iPad picking, where receiving, put away, and orders go directly to staff iPads; paperless Pick to Light technology that speeds up fulfillment by electronically reading order pick tickets, determining the most efficient processing sequence, and then transmitting signals to special light bars mounted on the storage racks that house the product to be picked; and batch picking which helps to fill multiple orders simultaneously. With its passion for Perfect Delivery, and its devotion to its values, it’s pretty well guaranteed that Enlinx’s turbos are set to create quite a thrust. Check out this handpicked feature on Merrimak Capital Company, LLC – Equipment leasing and asset recovery. Rural Municipality of St. Andrews, Manitoba – Gone fishing! Sault Ste. Marie, Ontario – Welcome to The Soo!